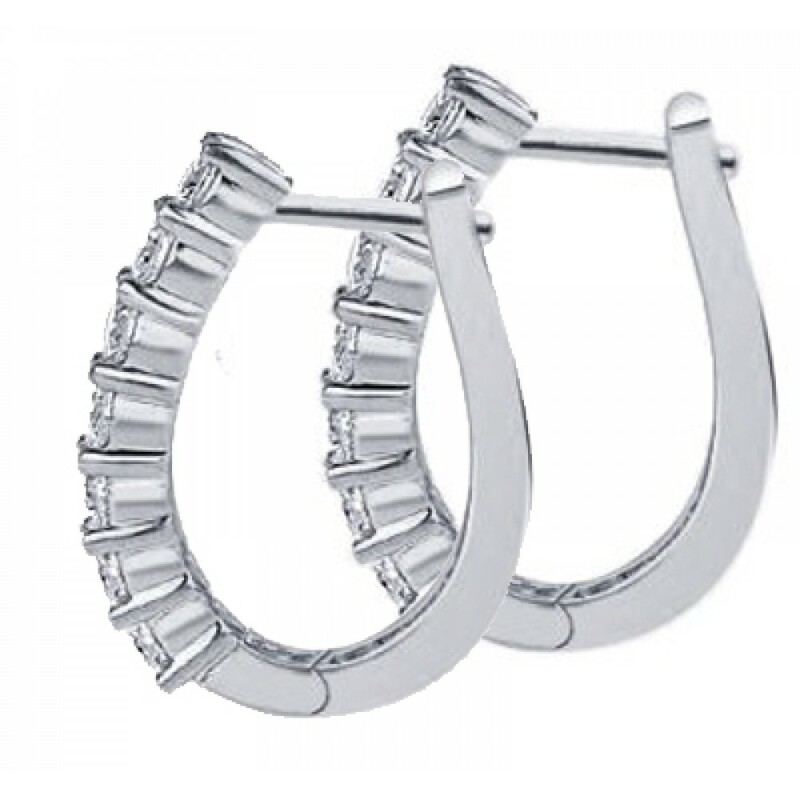 This beautiful pair of polished 14k white gold diamond hoop earrings feature posts and hinged snap-backs for extra comfort. 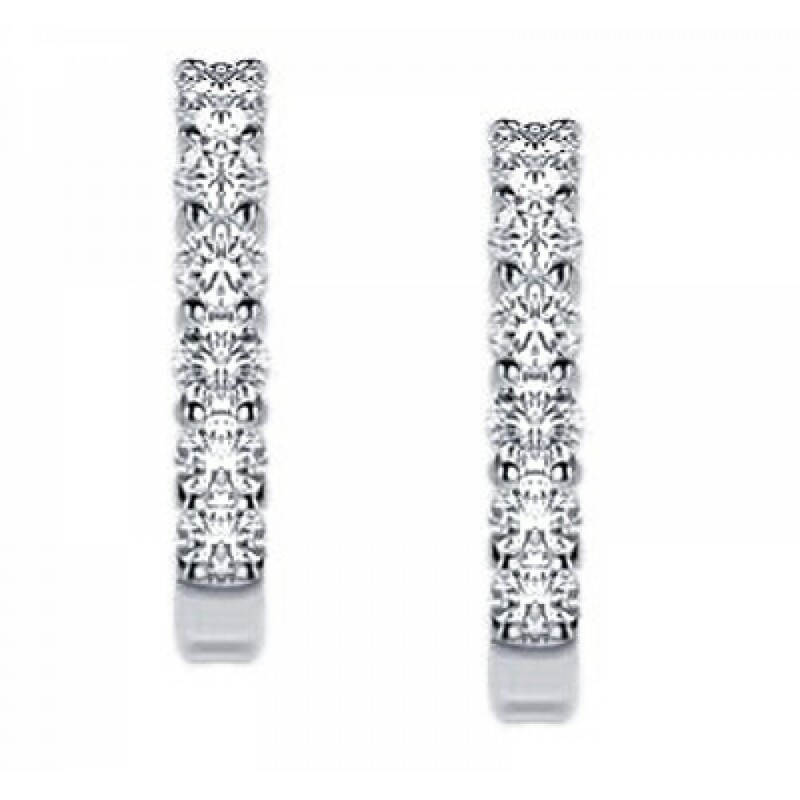 The total diamond weight is 1/2 of a carat. 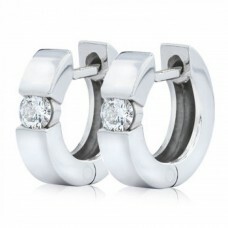 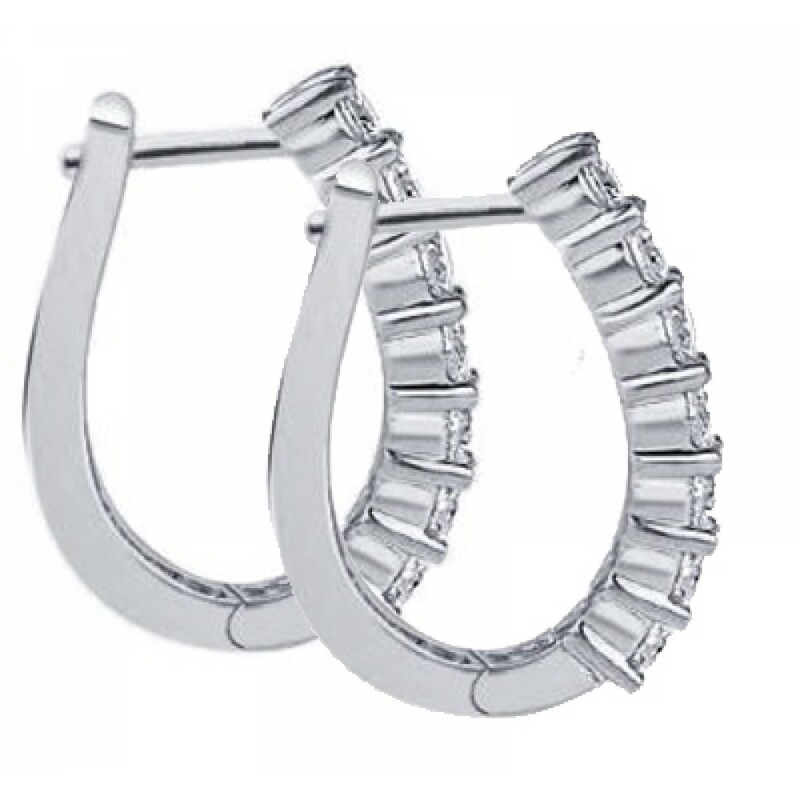 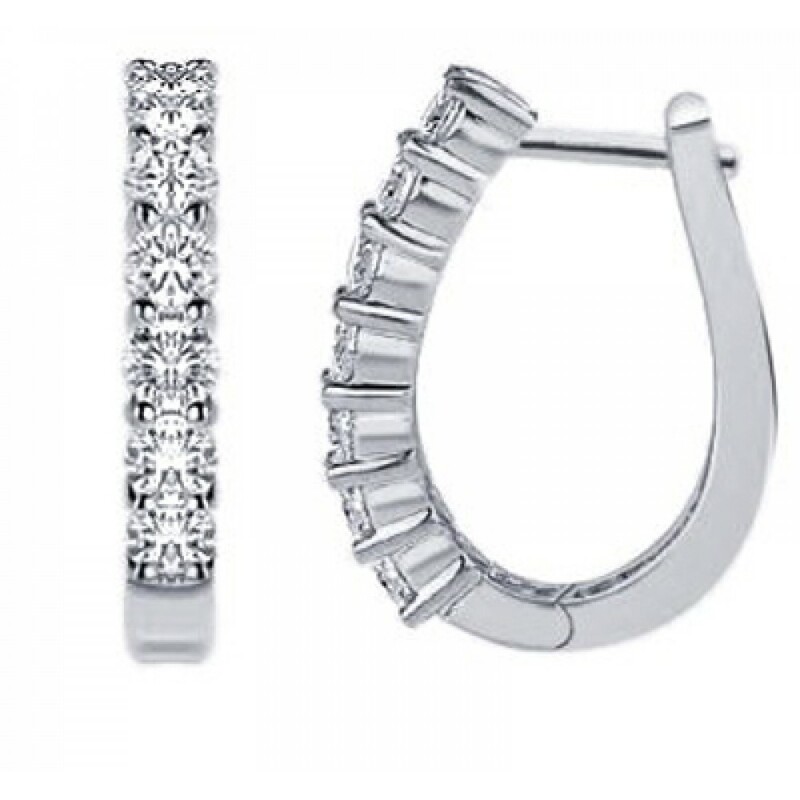 These glamorous womens huggie earrings are handcrafted in lustrous 14K white gold. 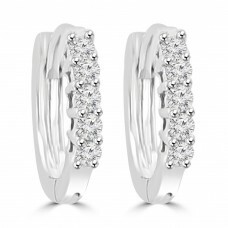 The center of ..